The Lowe Art Museum continues its popular Sip & Sketch series on the third Wednesday of each month during the academic year, in September, October, November, and February. 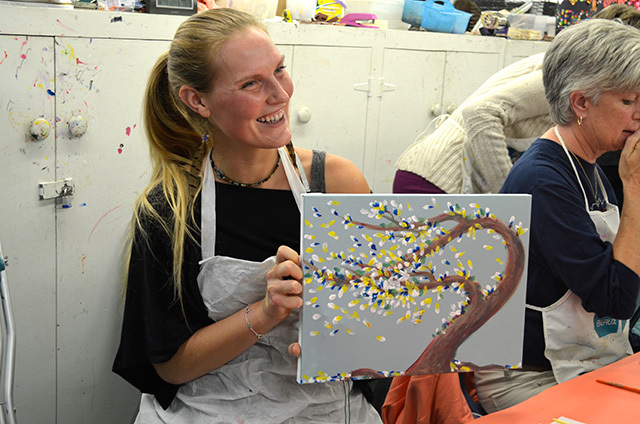 Participants have the chance to learn the fundamentals of art making from University of Miami lecturer and artist Jacquie Gopie, while enjoying a glass of wine and cheese. The Sip & Sketch sessions take place in the Lowe’s Education Pavilion from 7 to 9 pm. The cost is $45 for non-members, $35 for members, and includes materials and two glasses of wine. Participants must be 21 or older. For a full listing of all Lowe Art Museum events, please visit our calendar page.